Located in Ganpatipule, Greenleaf The Resort And Spa is by the sea and convenient to Ganapati Temple and Ganpatipule Beach. 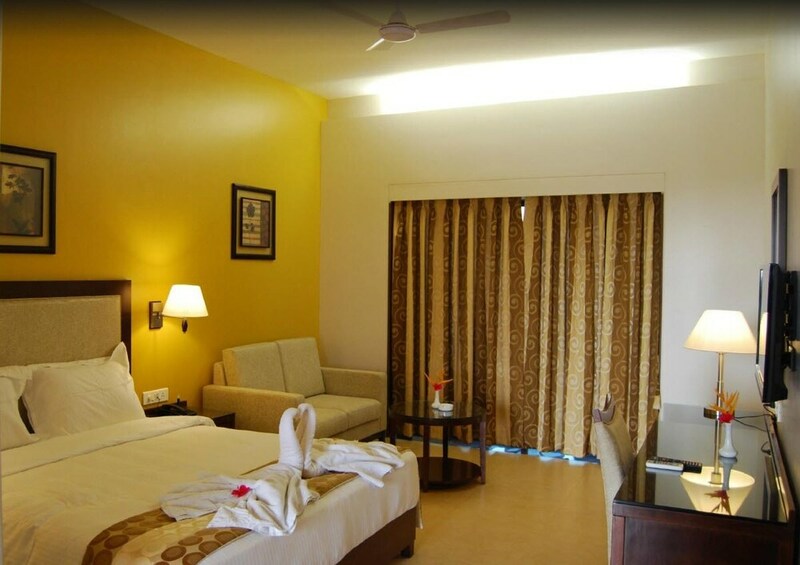 This 4-star hotel is within the region of Ratnagiri Lighthouse and Ratnagiri Marine Musuem. Make yourself at home in one of the 70 air-conditioned rooms featuring minibars and LED televisions. Satellite television is provided for your entertainment. Bathrooms have showers and hair dryers. Conveniences include phones, as well as safes and desks. Enjoy a range of recreational amenities, including an indoor pool, a spa tub, and a seasonal outdoor pool. Featured amenities include a 24-hour front desk and ATM/banking services. Planning an event in Ganpatipule? This hotel has facilities measuring 3500 square feet (315 square meters), including conference space.